Welcome to the inaugural installment of Classic Shows You Should Watch. In this article, I will focus on All in the Family. 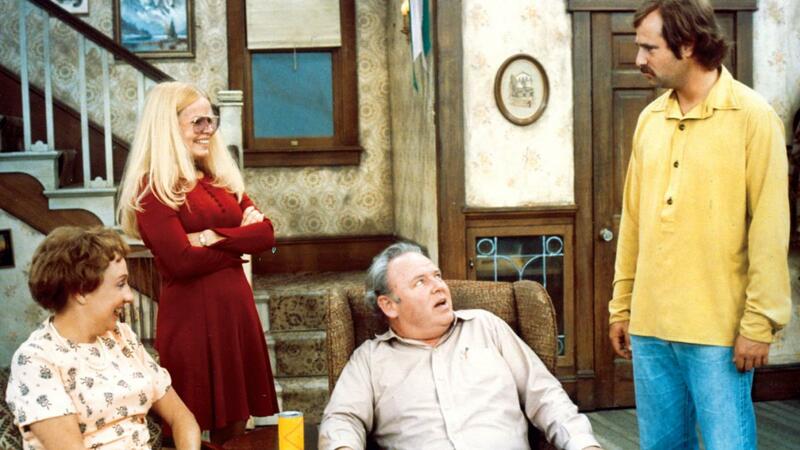 All in the Family is a classic sitcom that aired for nine seasons from 1971 to 1979. It starred Carroll O'Connor, Jean Stapleton, Rob Reiner, and Sally Struthers for the first eight seasons, until Reiner and Struthers departed the series. Throughout the ninth season, Danielle Brisebois was a series regular and was a major part in the spinoff Archie Bunker's Place, which ran for four seasons. The Writer's Guild of America ranked this show as the fourth-best written TV series ever, while TV Guide ranked the show as #4 of TV Guide's 50 Greatest TV Shows of All Time. The protagonist, Archie Bunker is described as a "lovable bigot" who is a blue-collar worker who is an equal opportunity offender. Archie longs for better times where people who shared his viewpoint were in charge, in the ironic theme song. Edith Bunker is described as the dingbat who is often told by Archie to "stifle" herself. She is in the series throughout nine seasons until she dies off screen in the second season of Archie Bunker's Place. Gloria Stivic is the daughter of Archie and Edith who marries Michael. She has the ditziness of her mother and the stubbornness of her father. The combination brings out a refined feminism about her. Michael Stivic is the "Meathead" and the husband of Gloria. He constantly fights with Archie over political matters. Stephanie Mills, the niece of Archie and Edith, is smart and clever, Jewish, and serves as the liberal foil to Archie's conservatism. The show is a classic because it portrays contemporary political discourse of the 1970s. A lot of the discourse still applies in today's time. And that concludes the first installment. Stay tuned for more Classic Shows You Should Watch!